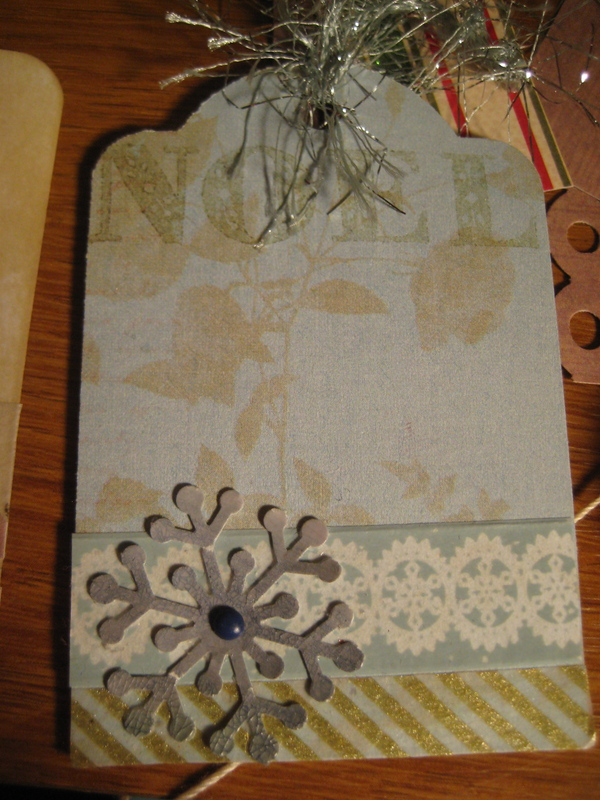 No one needs to be told how to make Christmas tags. They’re just about the easiest thing on the planet to make. Even a rectangle of kraft paper with a name scribbled on it has its own charm! My desk is in a constant state of craft flux these days. 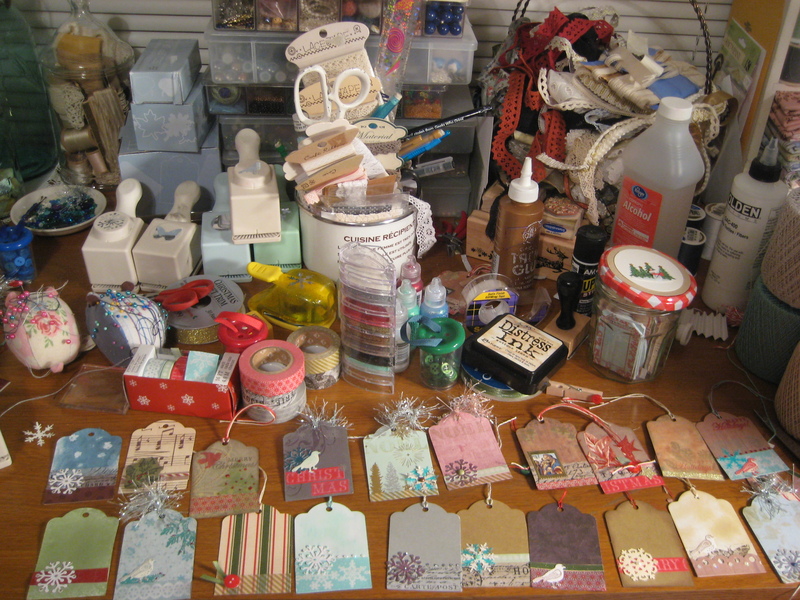 I don’t bother putting anything away because sometimes I like to sit down and just make a few tags- and walk away. Clean-guilt-free. I give myself this gift of chaos, and it makes the whole process much smoother. I have a pretty random collection of stamps and paper I use for my tags. I have a lot of Martha Stewart stamps- she makes some great classic designs. 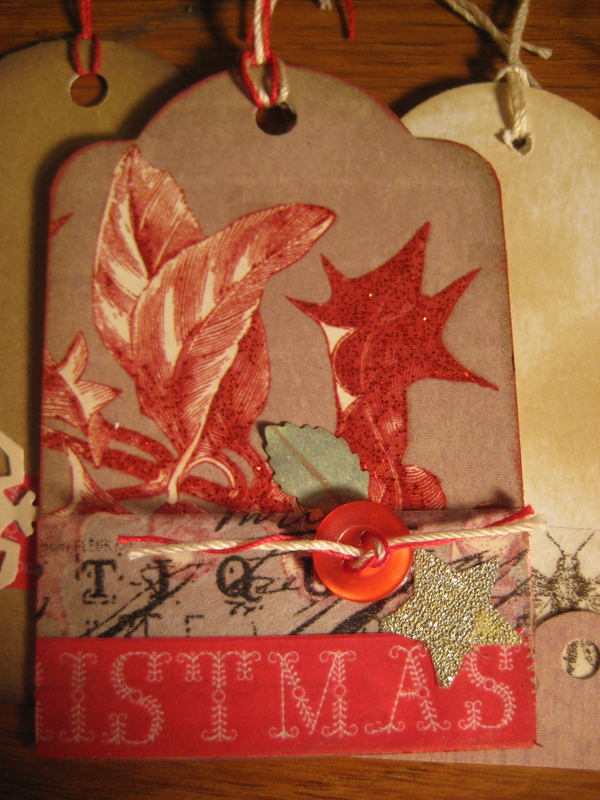 Stickles make everything pretty- that’s all the glitter you see on my tags. They make such a quality product- way better than any other glitter glue out there. It’s much more controllable, I should say. Martha came out with a punch a few years back that came with 3 acrylic stamps. The stamps fit the punch perfectly, and thusly you could make a very complete looking element. 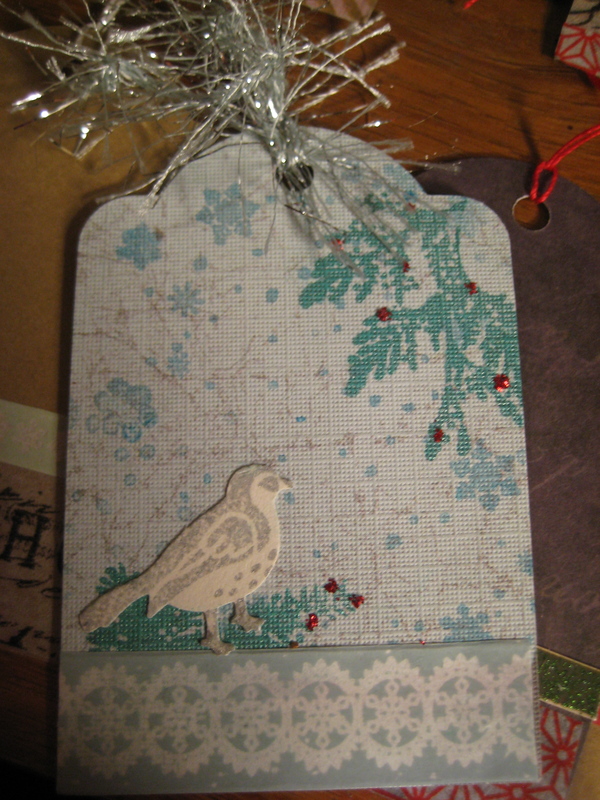 I liked the bird the best- and despite what some people think, I find birds to be very Christmasy. 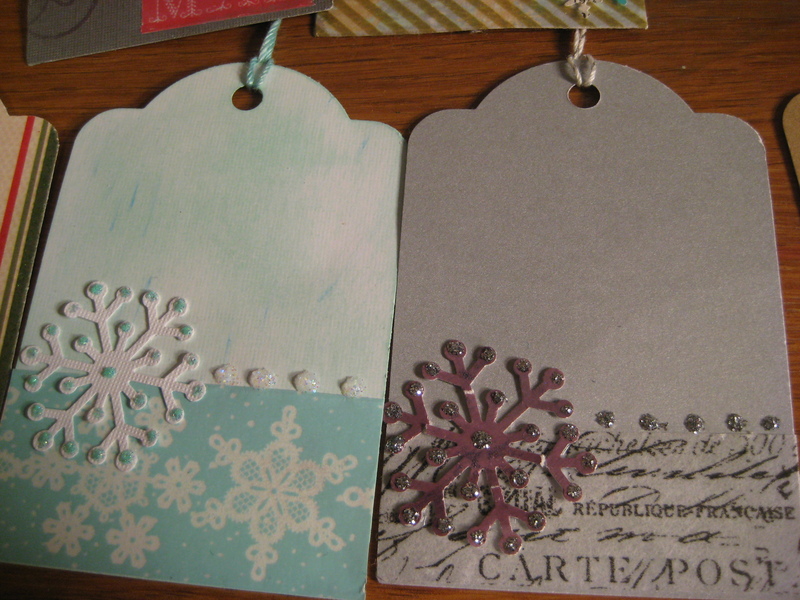 I got to use up a lot of Christmas paper with these tags. For some reason I have 3 12×12 stacks of Christmas paper. Some of which I have ceased to appreciate now that the paper is so cool these days. 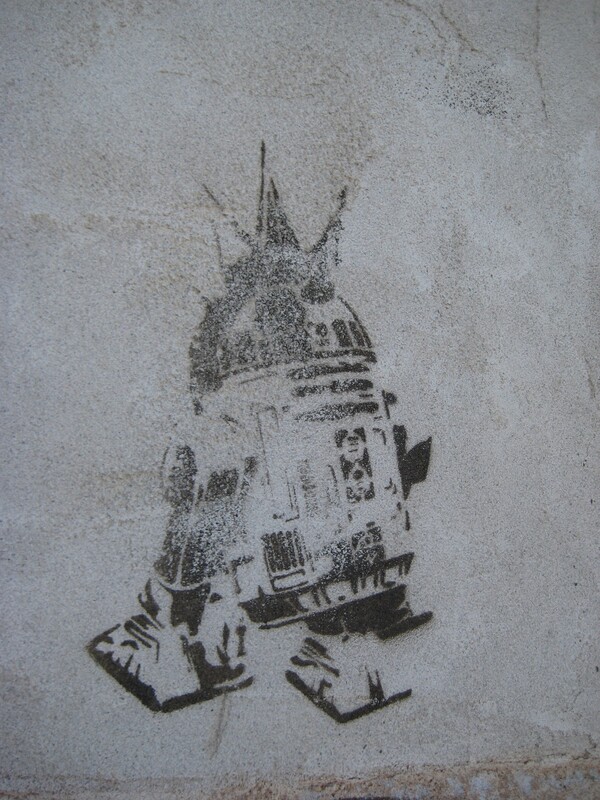 I noticed that some of my tags were so busy with design, however, that there was nowhere to write a name! Oh well! Guess the back will work. Oh! 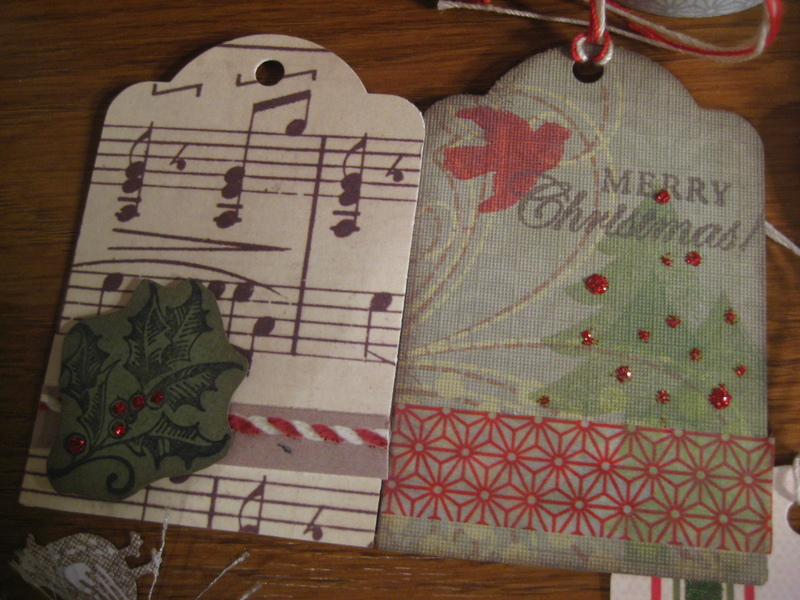 Also, I love the idea of threading ribbon or string through buttons before glueing them to the paper. Very cute. 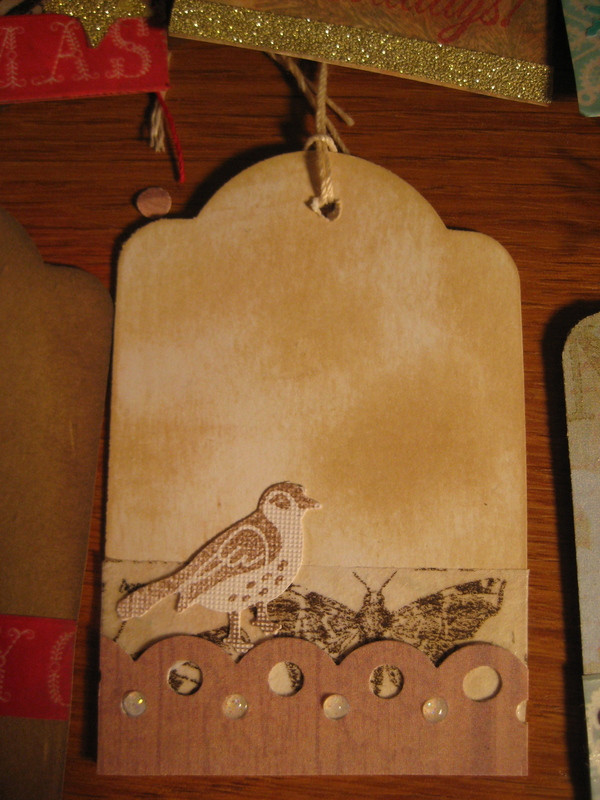 Very Tim Holtz. 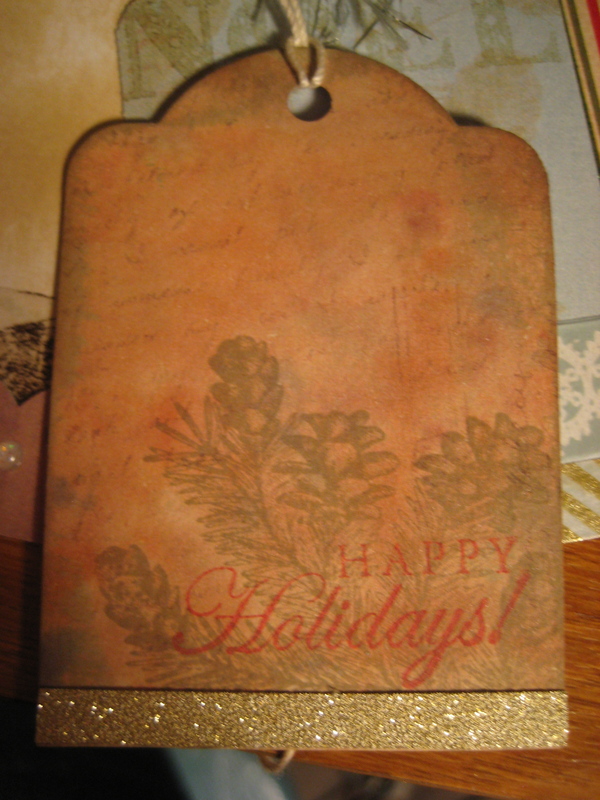 I started designing my own paper at one point- using Ranger/Tim Holtz alcohol ink on glossy paper. It was serious fun, but that alcohol ink can really go to your head fast. It’s also kind of a mess when you work in small quarters like I do. But still pretty! I like the natural and aged look it gives paper. Martha Stewart came out with a “paper tape” this year to pick up on the Washi Tape phenomenon. She did not succeed. The tape is slick and plasticy- not what I expect from paper tape at all! The designs are cute, however, seeing as how we all know I’m a sucker for lace, and the fact that is was teal and white lace didn’t help at all. It would have been a feat of willpower to have not purchased it! I love snow flakes. I love punches. But most of the time I do not love snowflake punches. OH! I love the idea of them just fine, but they never seem to work out for me! If the paper is too thin, or too thick, if it’s a different texture, or painted, the snowflake punch gets ornery and it rips off its own arms! Oh the treachery! 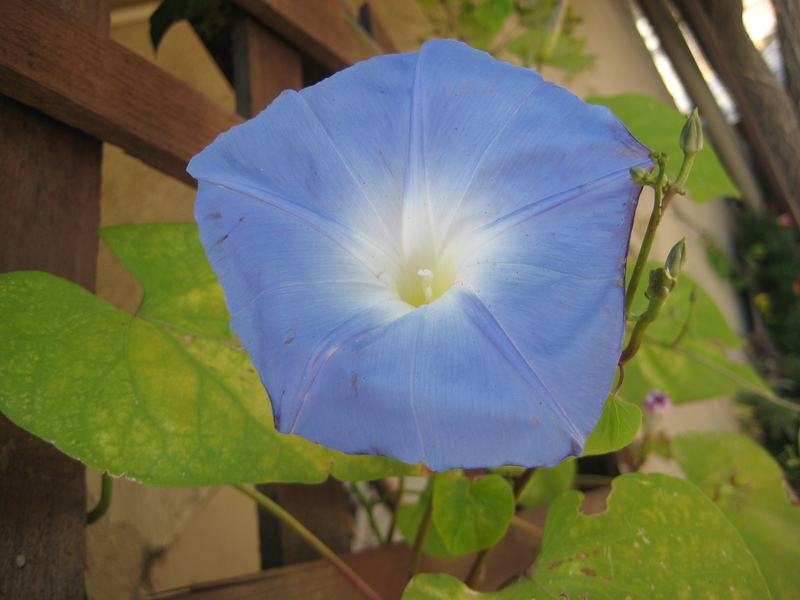 All the beauty of the thing is in its delicacy, and yet that is its greatest flaw! Disaster! I had to glue on plenty a broken snowflake appendage this December. This is Christmasy! Right? Okay, maybe not. I got sidetracked. See the pretty butterfly peeking out behind the Martha Stewart lace punch? 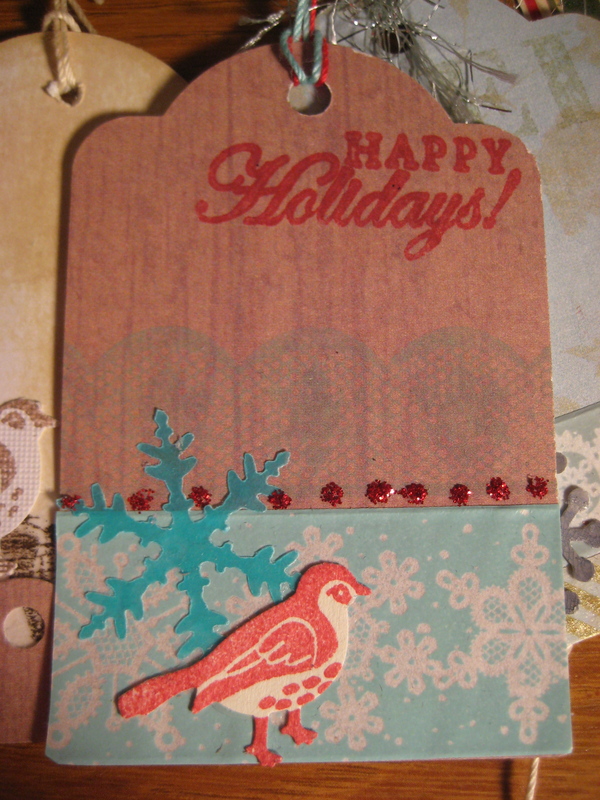 That’s Tim Holtz’s paper tape. 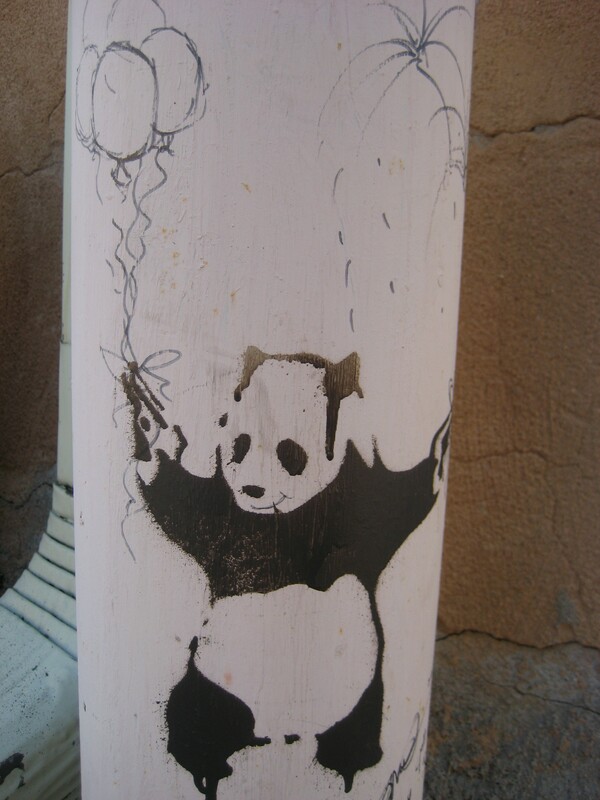 THAT is what paper tape should be like. It’s awesome. 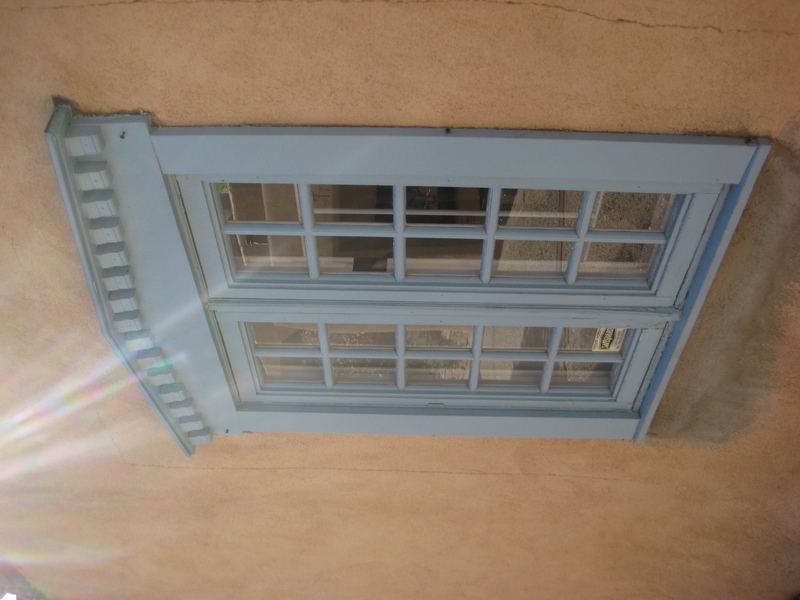 I liked his French script one, too. Very chic. 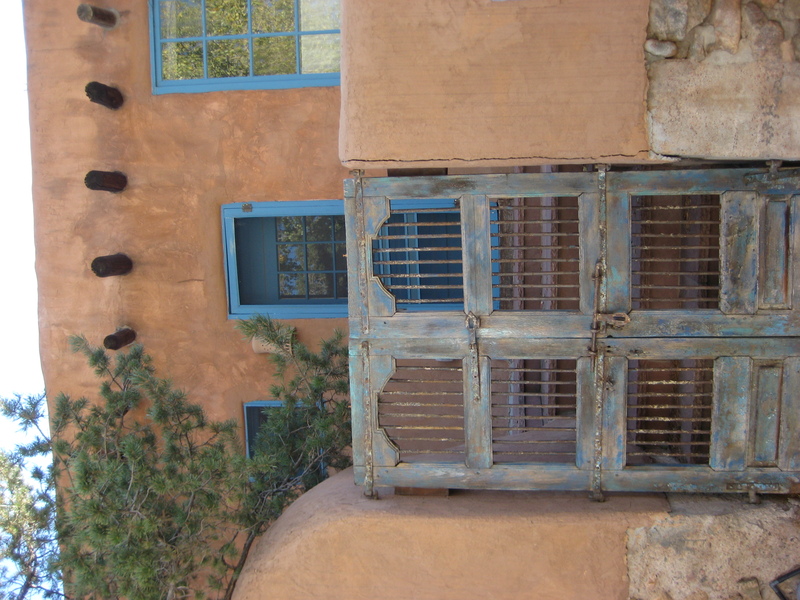 Some more shots from my lovely time in stunning Santa Fe… these photos remind me of the warmth of the Santa Fe adobe and all the bright colors. 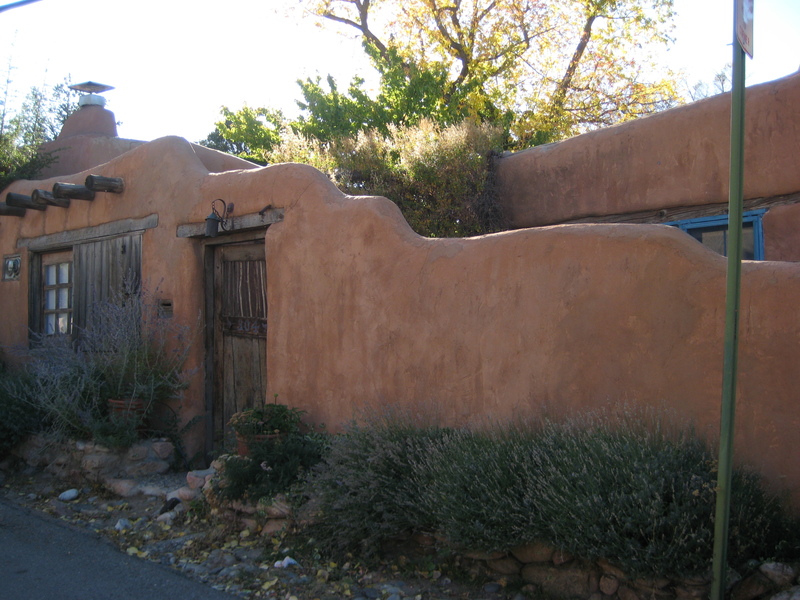 It really puts me in a pleasant state of mind, making me forget about the freezing snow falling outside. Yee!